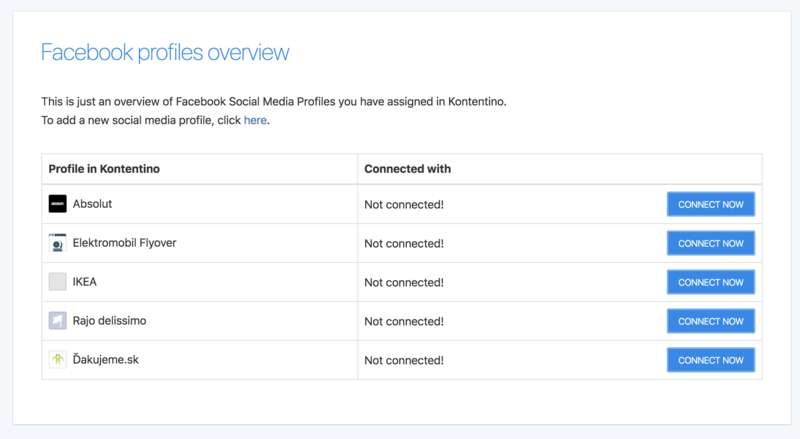 For the past couple of weeks, you have probably struggled with your Facebook profiles being disconnected from Facebook very often. Even though this was caused by recent mandatory privacy changes on Facebook, we did not want to blame anybody or stay ignorant, instead, we decided to take action and actually do something about it – again, to make your life easier as we always have. These dogs days are over yeah! Starting Monday, 28th May, 2018 we are rolling out an update with the connections not being expired too often and if so, you will be able to authorize all of your profiles with one click. In order for you to use this new feature, you will need to connect your profiles to Facebook one more time, the last time, we promise! Do not worry though! We have prepared a special settings page, where you can do so quickly for all of your Facebook profiles. And if this happens, you just go to Account Settings -> Authorizations, click the blue button and you’re done! Does it affect posts I have already scheduled? No, this update has no effect on your already scheduled posts. Would I finally receive correct page notifications, who published posts on my Facebook page? 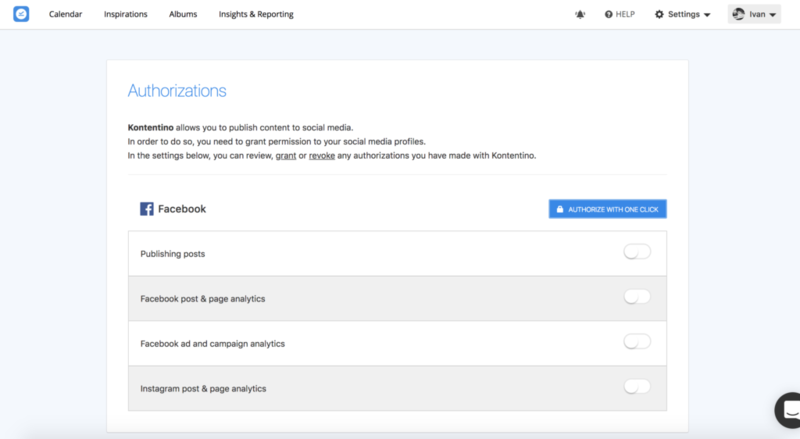 Sure 🙂 If two or more people publish regularly content from Kontentino on your Facebook page, within page notifications you will see who and when published that post (until now, if two or more people published posts on your FB page from Kontentino, you saw just one name in all notifications). If I remove a person from my Business Manager or remove a page role for that person, will they still have an access to my Facebook Page through Kontentino? No, once you remove a person from page roles, that person can no longer access your page, schedule posts or analyze performance from Kontentino. If you have any trouble setting this up or if something is not entirely clear, we’re happy to assist you. In such case, please reach us through the chat within your Kontentino account.